While the Agenda 2030 calls for urgent action of all countries to implement the SDGs, Russia lacks behind in many areas with too little and too slow progress. On 14 February, 2019, the Australian Government released a report on the Senate's year-long Inquiry into implementing the SDGs. Inputs from the SDSN AusNZPac, SDSN members, and SDSN Youth are frequently referenced, along with Australia's ranking on SDSN's SDG Index and Dashboards Report. Since 2017, the “Meet SDGs” High-end Forum has been one of the most popular serial events about sustainable development at Tsinghua University. More than 2000 audiences have attended the events onsite or online. Since “Meet SDGs” No.2, audiences all around the world can participate the forums remotely via web broadcasting. On December 4, 2018 US chapter of the SDSN was launched, at Columbia University in New York. The chapter is co-directed by academic centers at Columbia University, Yale University, and the University of California San Diego. The SDSN USA joins 29 existing SDSN networks that are creating new online courses, educating their students and the general public, working with governments, engaging and empowering young people, and offering innovative solutions for the SDGs. On Thursday October 25, 2018, SDSN was glad to present a first look at its latest regional network, the SDSN Black Sea. Hosted by the Aristotle University of Thessaloniki and chaired by Prof. Nicolaos Theodossiou, Professor of Water Resources Management at the Department of Civil Engineering, this new regional chapter will function as a hub for sustainable development for the wider area of the Black Sea. On October 25 and 26, SDSN engaged in the 2nd International Congress on Human Rights, organized by the Fundación Mainel and supported by the Generalitat Valenciana and the Universitat de València, which explored synergies between the Universal Declaration of Human Rights and the 2030 Agenda for Sustainable Development. With the rapid development of initiatives to meet the UN Sustainable Development Goals (SDGs) in Indonesia, and to disseminate local lessons learned to a global network, SDSN is welcoming a new member and strategic collaborator in its Indonesia SDSN, the Belantara Foundation. 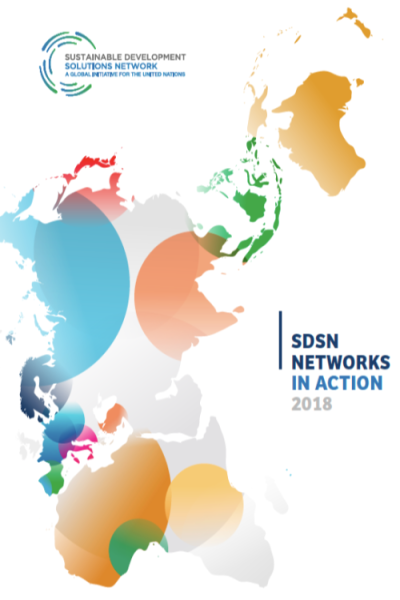 The 2018 Networks in Action report features the wide array of innovative solutions and initiatives being led by the SDSN’s national, regional, and thematic networks. It includes a new introductory piece by Prof. Mariana Mazzucato on mission-oriented research for the SDGs and also details how SDSN works with our networks. BOSTON – Today, at the U.S. Conference of Mayors’ 86th Annual Meeting, the Sustainable Development Solutions Network (SDSN) released the 2nd Annual U.S. Cities Sustainable Development Goals Index. The report, titled “Leaving No U.S. City Behind,” shows that all U.S. cities, even those at the top of the Index, have far to go to achieve the 17 Sustainable Development Goals (SDGs), a global framework promoting social, economic and environmental sustainability. The U.S. was among 193 countries that adopted the SDGs in 2015. The forum brought together a range of network stakeholders and community actors to showcase a variety of efforts to realize the SDGs across Northern Europe. The theme of “integration” is just one of many the network hopes to focus on in the years ahead to maintain Northern Europe as a leader on the 2030 Agenda. 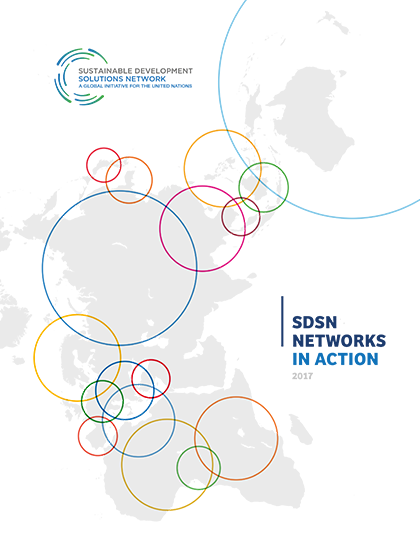 The SDSN now boasts 25 national and regional networks worldwide! SDSN Canada, officially launched Monday, May 7, 2018, has joined 24 other SDSN networks working to mobilize global scientific and technological expertise to promote practical solutions for sustainable development, including the implementation of the Sustainable Development Goals (SDGs) and the Paris Climate Agreement. Achieving a balance between people, nature, and spiritual wellbeing is one way to achieve universal happiness. This philosophy makes up the core of the SDG Pyramid developed by the SDSN Southeast Asia Network and was the fundamental motivation behind the Happiness Festival they hosted last month. “Leaving No U.S. City Behind,” shows that all U.S. cities, even those at the top of the Index, have far to go to achieve the 17 Sustainable Development Goals (SDGs), a global framework promoting social, economic and environmental sustainability. The U.S. was among 193 countries that adopted the SDGs in 2015. The Global Happiness Policy Report is produced by the Global Happiness Council (GHC) and contains papers by expert working groups on happiness for good governance. This report provides evidence and policy recommendations on best practices to promote happiness and well-being. The World Happiness Report is a landmark survey of the state of global happiness. The World Happiness Report 2018, which ranks 156 countries by their happiness levels, and 117 countries by the happiness of their immigrants, was released on March 14th at a launch event at the Pontifical Academy of Sciences in the Vatican. A launch event was also held on March 20th, celebrating International Day of Happiness at the United Nations. The SDGs cover a wide range of complex social, economic, and environmental challenges and addressing them will require transformations in how societies and economies function and how we interact with our planet. Universities, with their broad remit around the creation and dissemination of knowledge and their unique position within society, have a critical role to play in the achievement of the SDGs. This report showcases the array of innovative solutions and initiatives being undertaken by the SDSN national and regional networks. 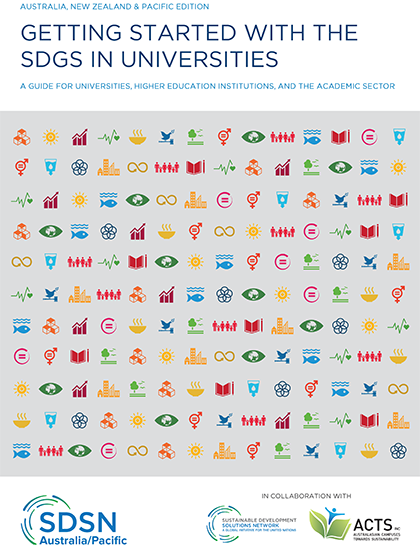 It presents each network and includes an introductory essay on the role of universities in achieving the SDGs.